TAMPA, Fla. – Oct. 8, 2014 – The Regenerative Orthopedic Institute of Tampa is celebrating Bone and Joint Health National Awareness Week, a global event that is held Oct. 12-20, 2014. Throughout the week are several days devoted to a specific type of illness, including World Arthritis Day on Oct. 12, World Spine Day on Oct. 16, World Trauma Day on Oct. 17, World Pediatric Bone and Joint Day on Oct. 19, and World Osteoporosis Day on Oct. 20. 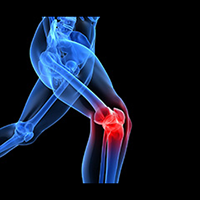 The Regenerative Orthopedic Institute offers non-surgical solutions to joint and spine problems. The treatments are alternatives to surgery of the knees, shoulders, hips, and spine. By celebrating Bone and Joint Health National Awareness Week, the Regenerative Orthopedic Institute is educating the public on the effects of bone and joint conditions. The United States Bone and Joint Initiative state that nearly half of Americans over the age of 18 – about 48% – are affected by bone and joint conditions, primarily arthritis. With baby boomers aging, the rate of bone and joint conditions will continue to increase in the future. Our nation’s epidemic of obesity and the high activity levels of our aging population also contribute to joint issues. The Regenerative Orthopedic Institute focuses on relieving patients of their joint pain by using modern technology and practices minimally invasive techniques. For more information, visit www.DoNotOperate.com or call (813) 868-1659.